Gerald Labriola received $4,260 in donations on this day. Gerald Labriola received $500 in donations on this day. Gerald Labriola received $2,000 in donations on this day. 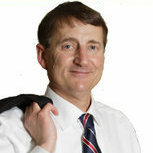 Gerald Labriola has passed the 2010 Political Courage Test. Gerald Labriola received $4,800 in donations on this day. Gerald Labriola received $2,500 in donations on this day. Gerald Labriola received $1,000 in donations on this day. Gerald Labriola received $2,800 in donations on this day. Gerald Labriola received $5,600 in donations on this day. Gerald Labriola received $1,500 in donations on this day. Gerald Labriola received $5,000 in donations on this day. Gerald Labriola received $5,300 in donations on this day. Gerald Labriola received $8,000 in donations on this day. Gerald Labriola received $10,800 in donations on this day. Gerald Labriola received $8,800 in donations on this day. Gerald Labriola received $9,598 in donations on this day. Gerald Labriola received $10,000 in donations on this day. Gerald Labriola received $6,000 in donations on this day. Gerald Labriola received $2,290 in donations on this day.